ADJURATION AGAINST LIONS, CROCODILES AND REPTILES. Hail to thee Child of Ra, First-born, Flesh of his Flesh. By Him hast thou been tried since thy birth. Valorous One, Lord of the Transformations, overthrowing the impious each day. At the Breath of Thy Mouth the Ship rejoices, the vessel is made glad: for they perceive Shu, Son of Ra, triumph over his enemies and strike the impure with his spear. He pilots the Sun to the heights of the Heavens from the dawning of each day. Tefnut rests upon his head. She darts out her flames against his enemies and behold they are not. Formed by Ra, endowed with greatness, inheritor of his father’s Throne, His Powers expand and are one with the Powers of Ra. 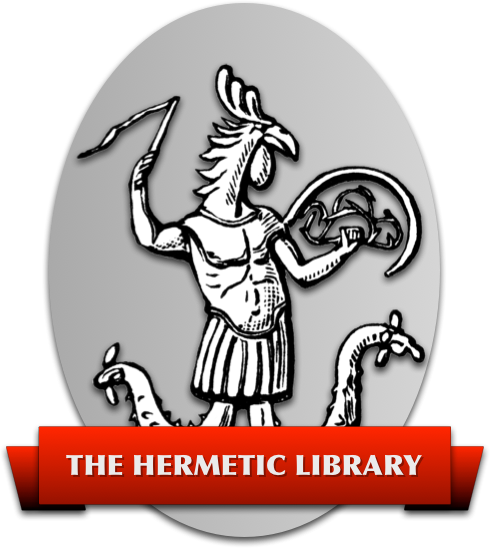 He (Shu) wrote this book for the library in which are the writings of the Lord of Hermopolis at the Southern Abode of Harmachus: in the Pylon of the Palace of Hermonthis. And he placed it sculptured and engraved under the feet of Ra Harmachus. Hail to thee, Son of Ra, Begotten by Tmu, self-created without substance. Thou art the Very Lord of the twofold Truth. The Master Who commands the Gods. Thou guidest the sight of thy Father Ra. All honour unto thee who with thine own hands hast directed the inclinations of the Gods. The furies of the great Goddess are calmed by Thee. By the Fire of His Will He draws forth His Strength and all the Gods fear His Face. He is King of the Heights and of the Depths of the Land of Shu, Son of Ra, Life Pure and Strong. The God of the morning of Time. Formed of the substance of the Sun in Hermonthis to overcome the enemies of his Father. Thou sailest peaceably in the bark, the boatmen are filled with joy. All the Gods Invoke Thee, and give thee praise when they hear Thy Name. Thou art more mysterious than the Gods, Thou art twice great in thy Name of Shu, Son of Ra. Stop Crocodile Mako, Son of Satem, I am An-Hur, Great Master of the sword. 1. Greater and Vaster than the Gods art Thou in Thy Name of the Great Goddess. 2. Thy twofold plume out-tops the Heavens in Thy Name of the God Who raises up the Two-fold Plume. 3. Thou sustainest Thyself upon Thy Shield in Thy Name of the God that is established upon his shield. 4. From Thy Throne Thou guidest the Upper Heavens in thy name of An-Bur. 5. Thou destroyest the Storm, thou illuminatest the desolation in thy Name of the God Who destroyeth the Storm. 6. Thou exorcisest the Crocodile risen from the Abyss, in Thy Name of God Who exorciseth Crocodiles. 7. Thou hast thy spear which shall pierce the heads of the impious in Thy Name of the Horned God. 8. Thou smitest those who approach in thy Name of Smiting with the Double Horns. 9. Thy Forms are vaster than the Gods in thy Name of Chief God of the City of Tenu. 10. The Sun came forth when thou earnest forth in thy Name of Shu son of Ra. 11. Thou seizest thy spear and attackest the impious in thy Name of Horus Tenu. 12. Thou destroyest the iniquity of the world on the earth in thy Name of the Dwelling place of the Sun. 13. Thou massacrest the Asiatics and the Sati, in thy Name of First-born child. 14. Thy Name is more powerful than the Gods in thy Name of God Seated in the centre of thy ship. IS. The Force of Youth given to thy nostrils extends to the limits of the Thebaid, in thy Name of First-born Child. 16. Thou strikest the heads of the impious in thy Name of Lord of the Sacrifices. 17. Thou makest the Bark to sail with a favourable Wind in Thy Name of the Goddess Maat. 18. Oh! being who has formulated his own body! 19. Oh! only Lord proceeding from Noun! 20. Oh! Divine substance self-created! 21. Oh! God Who has made the substance that is within Him! 22. Oh! God who has formulated His Father and made fertile His Mother! Hail to ye, oh! Five Great Gods, come from Hermopolis, ye who are not in heaven, who are not on earth, and who shine not in any light. Come to me. Test thou the river for me. Bind that which dwells therein. Let not that which swims, pass. Shut the mouths, shut the mouths, make fast the jaws, make fast the jaws. As the sword is fixed in the scabbard when the earth is lightened from the east as the edge of the swords of the great Goddesses, Anata and Astate are concealed. They conceive and bring not forth. They are sealed by the Gods. They have been created by Set. They are overcome by that which is above and which brings forth Good. Adoration of Ammon Ra Harmachis, who created himself who possessed the earth from the beginning, composed by the Divine Cynocephali of the God Put-Api, in order to adore the Majesty of the August God Ammon-Put-To when he shines on the Noun which is the Goddess Nu. These words are to be said over water and earth. Hail to Thee the Holy One Who hast formed thyself, Vast in Thy Measure, Illimitable, Divine Chief rejoicing in the power of creating himself. Vast and Flaming Serpents of Wisdom, Strength Supreme and Mysterious Form. Invisible Spirit. Florence Farr of His Unconquerable Power, King of the Higher and the Lower Land, Ammon Ra. Perfect and forceful Light. Created from Himself! Twofold Horizon. Hawk of the East. Brilliant. Illuminating. Blazing forth. Intelligence more intellectual than the Gods. Thou art hidden in the great Ammon. In thy transformation thou revolvest in the solar disk. God, Totnen, Vaster than the Gods. Thou wast old and art born again. Wanderer of the Centuries. Ammon eternal in all things. Thou, the God whose thought begat the World. (Adjuration against all inhabitants of Water.) Come unto me Strong and vigorous Life of the Gods. Destroy he perils which surround me, from the plants which are in the waters. Let them be for me like pebbles upon the earth. Let the dangers disappear as hunger disappears in a fruitful land. Hymn to Ammon-Ra, said by the Divine Cynocephali of the God Put-Api- To. In the great adoration of the God who is in the midst of the Waters, whose bones are of silver, and flesh of gold, and behind whose head is the true Lapis Lazuli. Oh Ammon hidden in the centre of his eye, spirit which shines in the sacred eye, adoration to the Holy Transformers, to those which are not known! brilliant are his forms veiled in a blaze of Light. Mystery of Mysteries, Concealed mystery; Hail to thee in the midst of the heavens. Thou, who art Truth, hast brought forth the gods. The Signs of Truth are in thy mysterious sanctuary. By thee is thy mother Meron made to shine. Thou puttest forth illuminating rays. Thou surroundest the earth with thy light until thou returnest unto the mountain which is in the Country of Aker. Thou art adored in the waters. The fertile earth adores thee. When thy cortege passes to the hidden mountain the wild animal rises in his lair, the spirits of the east praise thee, they fear the light of thy disk. The spirits. of the Khenac acclaim thee when thy Light shines in their faces. Thou traversest another heaven over which thine enemy may not pass. The fire of thy heat attacks the monster Ha-her. The fish Teshtu guard the waters around thy bark. Thou orderest the dwelling of the monster Oun-ti, which Nub-ti strikes with his sword. This is the God who seized the heaven and the earth in his tempest. His virtue is powerful to destroy his enemy. His spear is the instrument of death for the monster Oubn-ro. Suddenly seizing him he holds him down; he makes himself master of him and forces him to re-enter his abode; then he devours his eyes and therein is his triumph; then is the monster devoured by a burning flame; from the head to the feet all his members burn in its heat. Thou- bringest thy servants to the haven with a favourable wind. Under thee, the winds find peace. Thy bark rejoices, thy paths are enlarged, because thou hast overcome the ways of the author of evil. Sail, wandering stars! Sail on shining stars; ye who wander with the winds! F or thou art resting in the bosom of the sky, thy mother embraces thee; when thou comest unto the western horizon, the earth holds up his arms to receive thee. Thou who art worshipped by all existing things! Come unto me, oh Lord of the Gods! Make the lions of Meru to depart. The crocodiles going up from the river and the sting of the venomous reptiles creeping from their holes! Stop Mako, Crocodile, Son of Set! Swim not, use not thy limbs, open not thy jaws! May the water become an ardent fire before thee, thou whom the Thirty Seven Gods have formed. Who wast bound by the great serpent of the Sun and who wast bound with great chains of metal before the bark of Ra. Protect me, Ammon, fertilizer of the substance of thy being. Say this over an image of Ammon in the form of the God with Four Rams’ Heads, painted on a plaque of white clay, a crocodile under his feet, divine cynocephali making adoration on the right hand and on the left. The second part of this papyrus consists of formulas to enchant and protect the reciter from water monsters. In all these the great formula of protection is the Assumption of the Form of some God; Khem, Shu, or Anubis as the case may be. It would appear that the crocodile held in Ancient Egypt the same position as the Dweller of the Threshold did in the mind of the author of Zanoni. Something terrible was to assail those who ventured into the fluidic realms of the invisible; the Nile and the crocodiles therein are the symbols of the River of Phantasy full of delusions that must be traversed by the aspiring Soul. The next formula is similar, but specifies exactly the dangers feared by a sleeper, which are to be guarded against by the Watcher. Baron Textor de Ravisi on page 286 of the Memoir of the Congress of French Orientalists held at St. Etienne, 1875, defines the different kinds of supernatural apparitions described by the Egyptians. Such be it remembered would be also the constitution of the vampire, when the corpse is said to be found fresh as the day when it was laid in its tomb. Ravisi defines manifestations which are visible but intangible; of which the head is distinctly seen, but of which the limbs are vaporous, to be composed of the Ka and the Zet. Their nature is sweet and consolatory. The manifestations which resemble the bodily form of the deceased, 'but are intangible, are composed of the Ka and the Sahu. They are generally terrifying. Manifestations of the Ab and the Hati re-united in the Zet (Spiritual body) are only visible to the spiritual senses. Manifestations of the image of the mortal procured through a medium are due to the Khaibt alone, and have none of the individuality of the Ka in them. An initiated King received four names; the second of which was the Ka name. Now to know the secret name or Ren of a man meant in the eyes of the Egyptians the knowledge of the most powerful means of influencing that man; it could be used as a means of exercising his personal qualities through the power of his name. We know that the Jews never called their God by His Name except for some sacred purpose, and this was probably a tradition derived from Egypt through Moses. The greatest merit was attributed to the Son who made his father's name to live; for this meant that the dead man’s Ka survived, was invoked, received offerings, and heard his glory or his virtues sung by his successors. Now we find in the following legend that the “Ren” or True Name was a secret to be gained by those who wished for the knowledge of the most powerful formulæ, Just as in Christian belief the Word is the Child of God, the Manifestor of Life Eternal, and at the name of Jesus every knee must bow. 1. See Chaldean Oracles, edited by Wynn Westcott, page 47.